​Gorgeous home completed in 2018! Owners are sad to be relocating after only 1 year of moving into this beautiful, newly constructed home. Extensive landscaping, generator, custom blinds, Boston Closet shelving in master closets and pantry and finished walk out basement with full bath make this better than new construction! Gourmet kitchen with stainless steel appliances, large walk in pantry, hardwood floors throughout and a flexible floor plan. Sit out on your deck overlooking the huge level back yard. Cozy up in the family room and watch a movie while enjoying a warm fire in the gas fireplace. Two more homes to be built will finish off the cul-de-sac and will list at more than $1,000,000 (according to builder) before the end of 2019. Holliston is a quintessential New England town with award winning schools, a vibrant downtown, a warm community. Conveniently located for nearby shopping and for commuting into Boston. Showings begin on Saturday after 1:00. ​Bright, clean and gorgeous, this 2 bedroom 1.5 bathroom town home is ready for occupancy. Pride of ownership abounds; newer appliances, water heater and HVAC system. Custom built-ins in living room and dining room offer extra storage. Beautiful hardwood floors in foyer, dining area, living room, stairs, hallways and both bedrooms Master bedroom has a walk in closet system by Boston Closets installed. Basement has a finished area and plenty of storage! There are 2 deeded parking spaces and guest parking. Indian Brook Condominiums is located near the entrance to route 495 one exit up from the Mass Pike exit. Also very convenient to the commuter rail station and within walking distance to Starbucks, Dunkin, 110 Grill, nail salons, banking, medical offices and so much more! Showings begin on Saturday April 13. 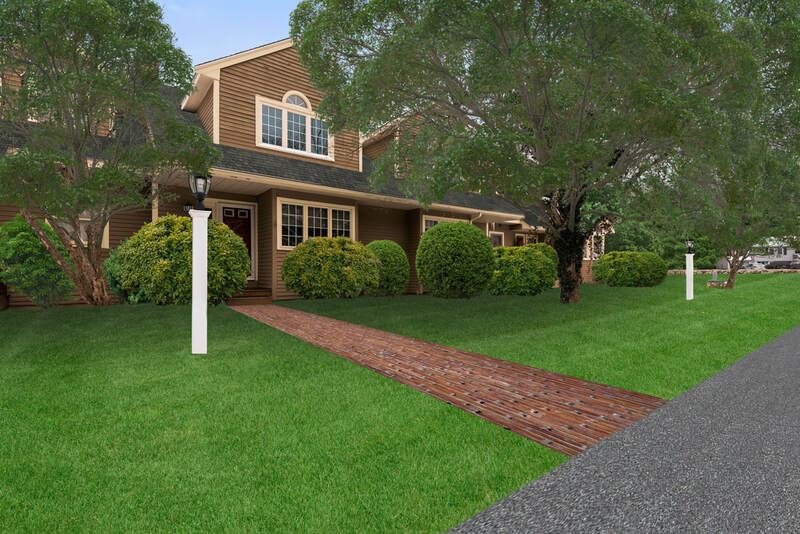 ​The Preserve is a gated enclave of 40 luxury town-homes beautifully sited across from coveted Hopkinton State Park. Minutes to the Southborough T station, this end unit is flooded with natural light, arguably the most private in the complex. Impeccably maintained and extensively updated there is literally not one thing needed except your belongings and your loved ones! As soon as you enter you are captured by the open floor plan, gleaming hardwood floors, cozy gas fireplace in the living room and a spacious formal dining room. The eat in kitchen will WOW you with cherry cabinets, stainless steel appliances including a Capital 6 burner gas range and vented hood. The 2 upstairs bedrooms feature hardwood floors, soaring ceilings and 2 full baths (en-suite). Laundry is on the 2nd floor. 2 zones for heat and central air. New on demand water heater. Extra insulation make this unit energy efficient. Get ready to fall in love! ​Introducing 31 Blueberry Lane, a great location for a beautiful home in desirable Hopkinton! 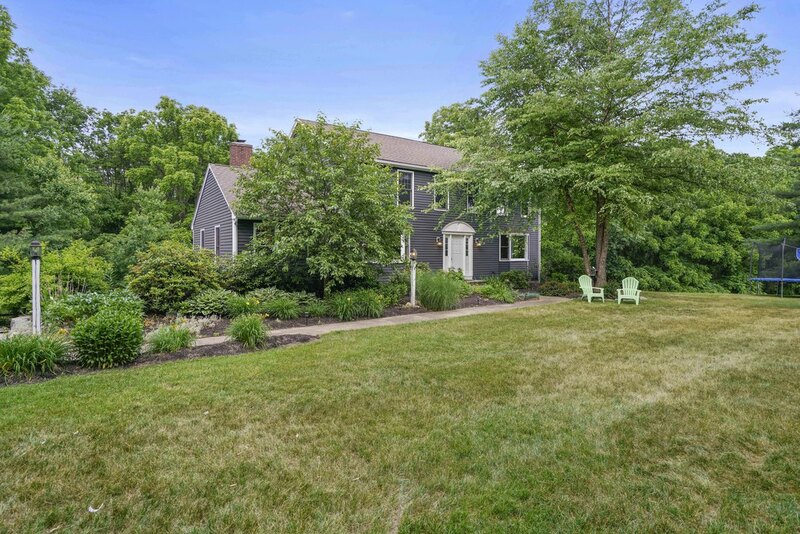 This custom-built, classic Colonial sits on a large, level lot in desirable Elmwood Farms. A rare offering, this is a dream house for those who appreciate exquisite style. Built for its current owners, this gorgeous home has been lovingly cared for & continually updated. Reap the benefits of the recently finished bonus room above the garage, renovated kitchen & bathrooms, freshly painted interior, new carpets, newer roof, new driveway, new Trex deck, town water & sewer! Blueberry Lane is centrally located close to schools, shopping, Rt. 495, Mass Pike & both Ashland / Southborough commuter rail stations. A highly sought-after neighborhood complete with sidewalks that run all the way to beautiful downtown Hopkinton, the start of the Boston Marathon! Rare offering in Davenport Village, Hopkinton's most luxurious, non age restricted, extremely private town homes. Comprised of only 18 units in total, this small neighborhood of luxury attached and detached homes was built only 3 years ago. Better than new and located at the end of the cul-de-sac, this 2 bedroom attached end unit has numerous custom details and so many upgrades which include; stainless steel subzero refrigerator, wolf gas range, designer light fixtures, tiles and plumbing fixtures, upgraded and enlarged kitchen with a 10' island, many extra finish details, crown moldings, wainscoting, central vac and hardwood floors throughout. The floor plan is very open with large expansive spaces and 2 master suites. Exceptional location close to shopping, schools, local restaurants, Hopkinton Center for the Arts, State of the art Library, major highways and 2 commuter rail stations. Don't miss out on this rare opportunity to live in this wonderful community! ​One of a kind! This sprawling classic stucco contemporary ranch style home with full walk out lower level is a must see for discriminating buyers. The main level is perfect for entertaining. High ceilings throughout, some are over 10' with a first floor master bedroom suite, 2 guest bedrooms and a full guest bath on right side wing. These areas all have brand new carpet. In the heart of the home is a very impressive great room / formal dining room area combination with a fireplace. The Left wing is where you'll find the large eat in gourmet kitchen, mud room, side entry, powder room, family room and 3 season porch overlooking the large backyard and huge deck. The lower level consists of 2 more bedrooms, a full bathroom and a very large finished area currently being used as office, work out and media room. Also a very large unfinished area for plenty of storage. A detached carriage house with a heated 2 car garage for the main house has an income producing approved studio apartment above it. The studio is fully heated with AC, a full kitchen and bathroom. Current owners receive roughly $35,000 of income off the apartment annually as an Air B&B. 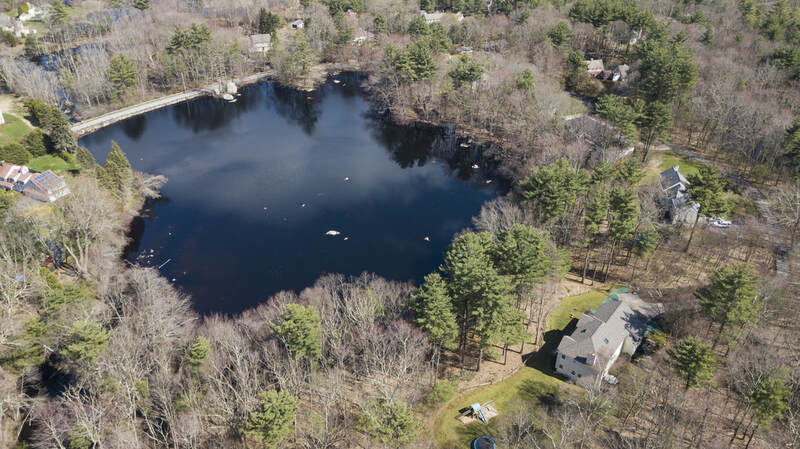 All located in an exclusive neighborhood on the north side of quintessential Southborough, MA! Southborough is very convenient to all major routes going both East/West ( Mass Pike 30 Miles to Boston) and North / South (Route 495 Cape Cod to New Hampshire). Southborough is also home to 2 highly regarded private boarding and day schools, Fay School and St. Marks as well as a highly rated public school. Please let me know if you would like to show this amazing property. This is a 5 bedroom house with a 4 bedroom septic system but is all totally approved by the town. Private Septic with town water and natural gas heat. This is currently a non MLS, private listing and I only have exterior photos at this time. Call me if you have any questions or would like to set up a private showing. New Construction at Braim Farm Estates in Hopkinton; an enclave of 20 home sites, final phase of 6 estate lots from 1.5 - 4.5 acres of land with fine custom homes built by one of the area's most respected builders. 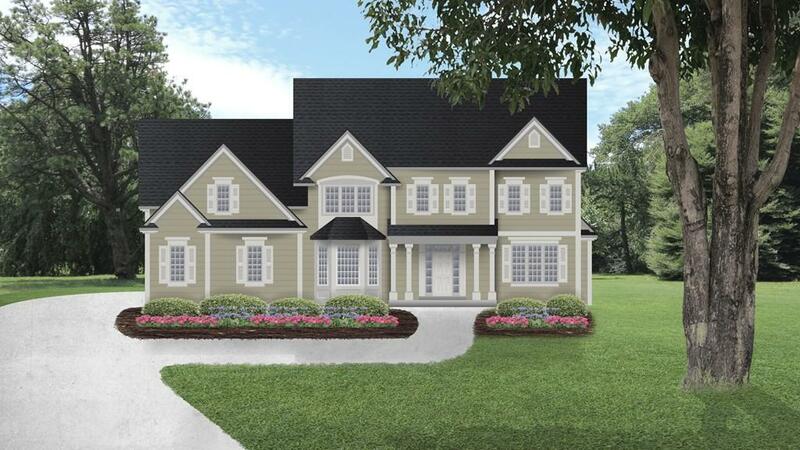 To be built: A Colonial home with amazing details and quality that include finish details such as wainscoting, ship lap, quartz, granite, custom built cabinets, coffered ceilings and an open floor plan! Convenient location within minutes to the Ashland T station, Southborough T station, route 495, Mass Turnpike, schools and downtown Hopkinton. A fantastic town with award winning schools, local shopping and restaurants. Nearby trails and lakes offer year round recreation. Don't just by a home, create a lifestyle that you have always dreamed of here at 21 South Mill Road. More lots available to build your custom home. Call me to learn more and let's put your dream home into motion. All photos are of other properties built by builder. 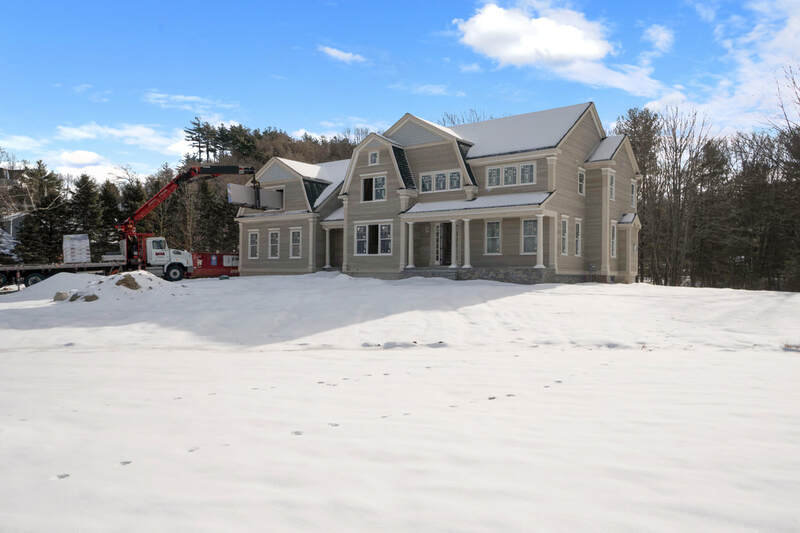 New Construction at Braim Farm Estates in Hopkinton; an enclave of 20 home sites, final phase of 6 estate lots from 1.5 - 4.5 acres of land with fine custom homes built by one of the area's most respected builders. 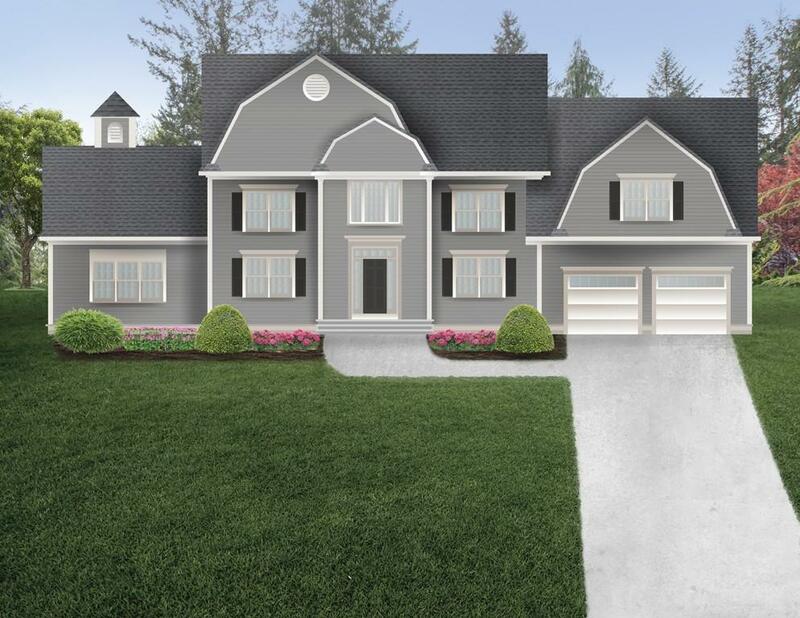 To be built: A Contemporary Colonial style home with amazing details and quality that include finish details such as wainscoting, ship lap, quartz, granite, custom built cabinets, coffered ceilings and an open floor plan! Located on a scenic country road, and a convenient location within minutes to the Ashland T station, Southborough T station, route 495, Mass Turnpike, schools and downtown Hopkinton. A fantastic town with award winning schools, local shopping and restaurants. Nearby trails and lakes offer year round recreation. Don't just by a home, create a lifestyle that you have always dreamed of here at 15 South Mill Road. More lots available to build your custom home. Call me to learn more and let's put your dream home into motion! Photos are examples of other homes built by this builder, not of this home. ​New Construction at Braim Farm Estates in Hopkinton; an enclave of 20 home sites, final phase of 6 estate lots from 1.5 - 4.5 acres of land with fine custom homes built by one of the area's most respected builders. To be built: A Colonial home with amazing details and quality that include finish details such as wainscoting, ship lap, quartz, granite, custom built cabinets, coffered ceilings and an open floor plan! Convenient location within minutes to the Ashland T station, Southborough T station, route 495, Mass Turnpike, schools and downtown Hopkinton. A fantastic town with award winning schools, local shopping and restaurants. Nearby trails and lakes offer year round recreation. Don't just by a home, create a lifestyle that you have always dreamed of here at 21 South Mill Road. More lots available to build your custom home. Call me to learn more and let's put your dream home into motion. All photos are of other properties built by builder. ​To be built on the last lot!! Quality new construction in the coveted Arboretum neighborhood. Amazing attention to detail by a local, hands on builder with a flawless reputation for over 25 years. You will be delighted should you choose 23 Cutting as you dream home! Buyer can make all selections if purchase is made early in construction and this home can be delivered early late winter / early spring of 2019. High end custom cabinets with inset doors, generous tile, counter top, cabinet, lighting and appliance allowances. Stained hardwood on first floor and upstairs hallway is standard as well as high end finish details and built ins. Convenient commuter location off of or near many major through ways. Call for more information, specifications, allowances and delivery time frame! Nestled in the woods near the shores of Lake Whitehall sits this hidden gem. 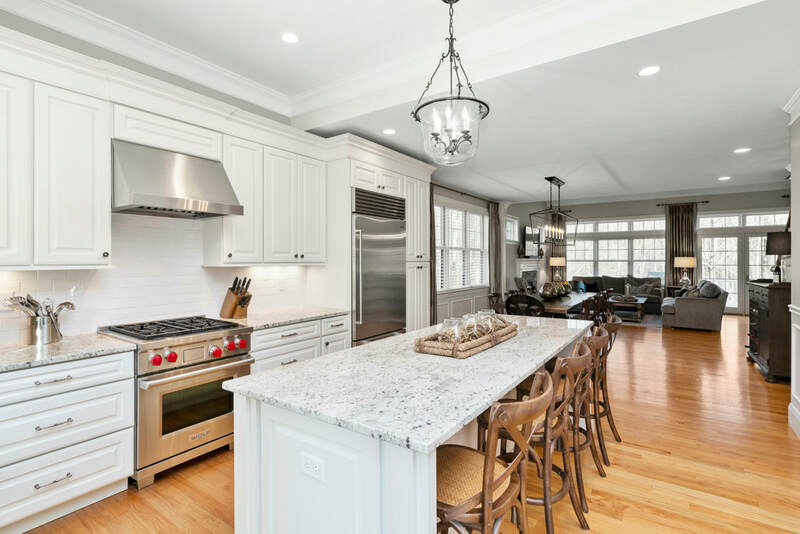 Built in 1977 by the famous Norm Abram, this classic Colonial has been maintained and loved by the original owners since the first day they moved in. So many memories have been built here but it is now time for a new family to call this home and to build their own memories. This gorgeous, level lot boasts almost 3 acres of usable land and includes gardens and a barn that has had many uses over the years such as raising chickens, goats and horses. The barn also includes an office and a storage loft perfect for an in home business. Zoned A-2, horses are allowed (see remarks) but buyer must conduct all due diligence with the town to ensure it confirms to current livestock use parameters. Excellent commuter location near Routes 495, 90, 135 and 85. 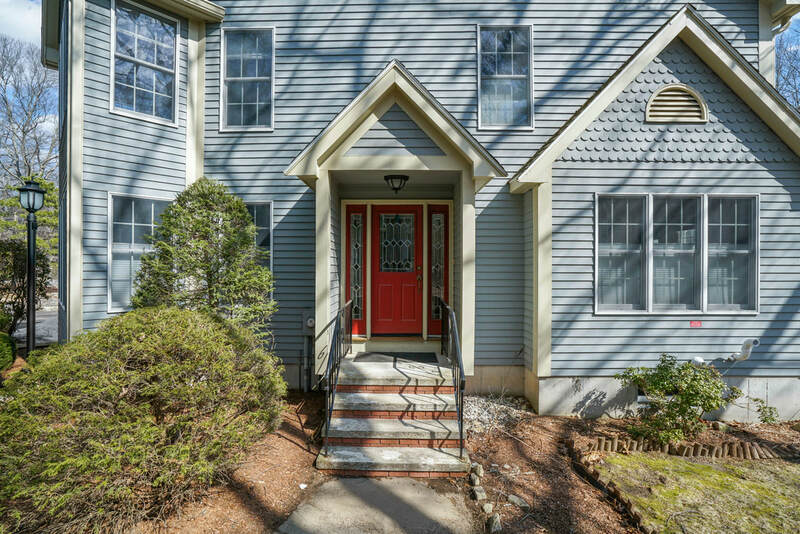 Minutes to the Southborough commuter rail. Be the next family to enjoy this little slice of paradise! Showings begin Monday July 2nd. Showings by Appointment only. ​Vacation at home! Pond front property perfectly sited on 6.53 acres of land at the end of a private road. Imagine all the family fun to be had by kids & adults alike, fishing, kayaking, skating or just relaxing while taking in the peace, serenity & beauty! Water views from many rooms, wide open floor plan, front porch, back deck for grilling & large expansive yard for kids to run and play. The interior is bright & open with 10-foot ceilings on the first floor, flexible floor plan allows for either first floor office or den, formal living room or formal dining room, large eat in kitchen with island & cherry cabinets open to the step-down family room. Every bedroom has it's very own en-suite bath & large closets. The 2nd floor loft is flex space currently being used as an office. The gorgeous finished daylight walk out basement has 2 large rooms & a full bathroom. 6 Bedroom Septic System, 2015 Roof, Irrigation and a generator! Great commuter location. Be sure to watch video! 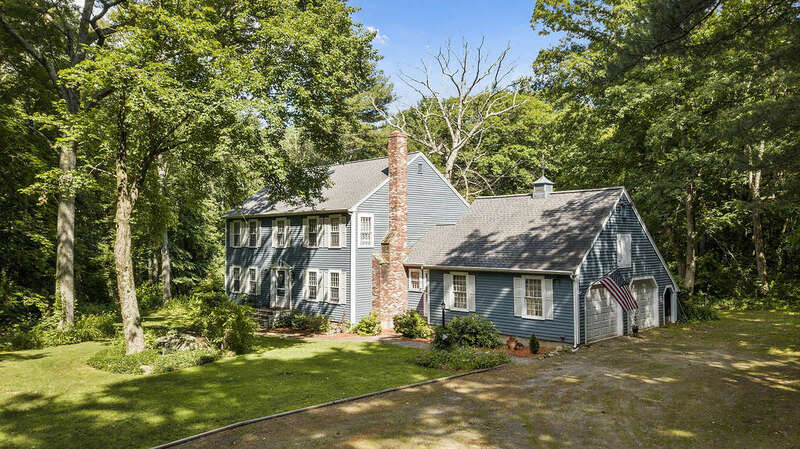 ​Wonderful Colonial home on a beautiful park like lot on the North East corner of Southborough abutting conservation land. Clean and bright with 4 generous bedrooms, updated sleek bathrooms, new tile floor and granite counter tops in kitchen with stainless steel appliances and tile backsplash. Large front to back Family Room and Living Room, both with hardwood floor and 2 wood burning fireplaces! Beautiful stone wall lines the driveway leading to the 2 car garage under for added curb appeal. Fresh exterior and interior paint throughout! High efficiency Buderus Boiler and Central Air. Coveted Pine Hill Road location is great for commuters minutes to Route 9 and exit 12 of the Mass Turnpike. Southborugh is a quiet, quintessential New England town with a warm community and an award winning school system! Showings begin at the first open house on Saturday from 12:00-2:00.